This modern, gig-ready combo has an old-school mindset. 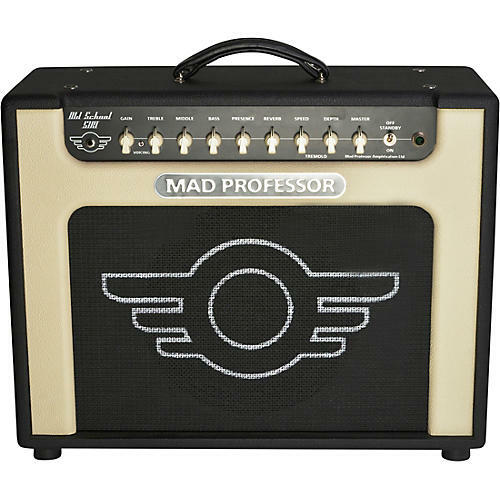 As the name implies, the Mad Professor Old School 51 RT-1x12 is designed for classic guitar tones, from the '50s to modern times. No need for channel switching as these classic tones from clean to distorted are easy to get by adjusting your guitar’s volume and tone knobs. Coming from a pedal-manufacturing company this amp takes pedals very well. Unique yet familiar tone, great Fender-type clean and boutique overdrive tones. Dimensions: 24" x 10.25" x 20"